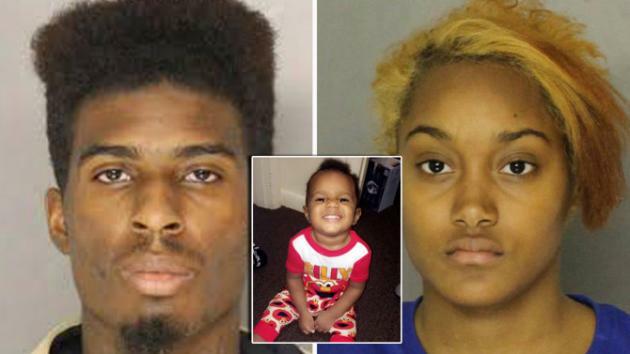 A Pennsylvania father has now been charged after he didn’t call 911 when the mother of his children threatened to kill them and sent him photos of their 17-month-old son’s lifeless body. The mother, 21-year-old Christian Clark, was arrested and charged with homicide and attempted murder after she allegedly smothered their 17-month-old to death and attempted to kill their 2-year-old, all while telling their dad what she was doing through text. The children’s father, Andre Price Jr., was arrested Friday and charged with two counts of child endangerment. The McKeesport man didn’t alert authorities even though Clark sent him videos of his son’s limp body Tuesday night along with alleged texts saying, “Ya kids ain’t safe here I don’t want them here... So you better pray for your kids” and, “I’m killing them,” with a laughing emoji. Only after Clark sent a third video showing her picking up the boy’s limp body by the arm and tossing him on the bed, did Price ask Clark to try to revive him, police said. "Try to wake him up I said hold him," he texted. "It’s okay I’m dialing 911," Clark responded in another text, according to reports. Clark reportedly told police she found the boy unresponsive. Police previously said that the inital argument between the two parents started over Price’s alleged cheating.